By Caroline Hatano·	 7/1/2014, 4:03 a.m. In college, Eliah Seton and Jamie McKeever’s relationship was strictly business: Eliah was the general manager of their a cappella group, the Harvard Krokodiloes, and Jamie was the music director. 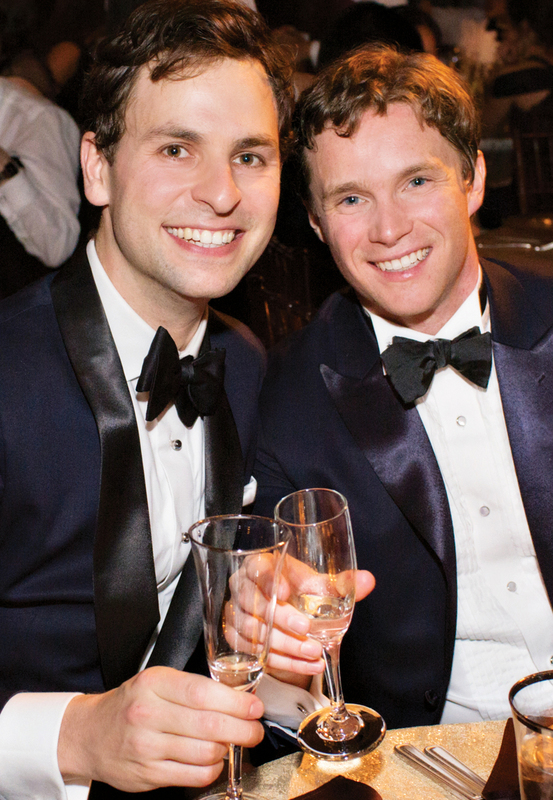 But that all changed in December 2004, when the two ducked into the Capital Grille in the Back Bay to escape the snow. 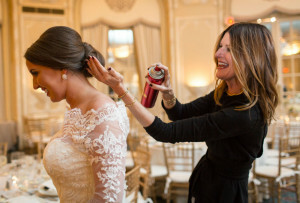 Fast-forward 10 years, and the couple chose to say “I do” just down the street from the site of that fated dinner, at the Harvard Club of Boston. 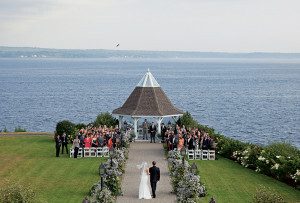 “It had the classic, old-school formal quality that we love,” Eliah says of the venue. In keeping with their musical background, Eliah and Jamie’s rehearsal dinner, ceremony, and reception all revolved around special performances from loved ones, including a rendition of the Fantasticks’ “Try to Remember” by Eliah’s 94-year-old grandmother and a traditional arrangement of “Auld Lang Syne” by friends. Hundreds of candles lit the in-the-round ceremony, which was officiated by Eliah’s sister-in-law underneath a birch-tree-and-smilax chuppah. 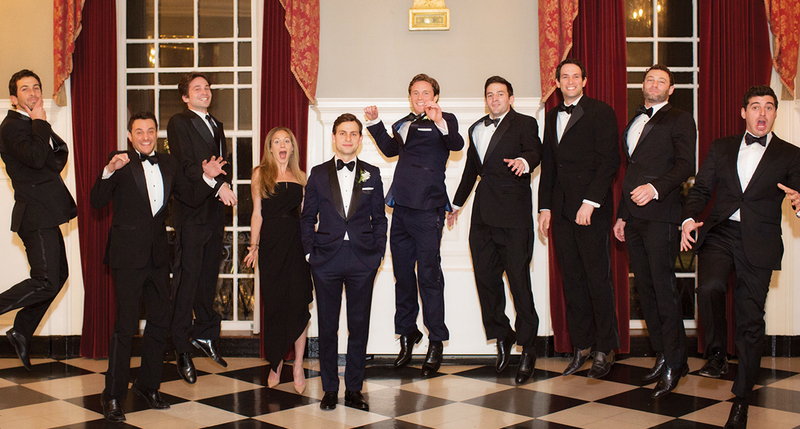 When the clock struck midnight, Eliah and Jamie rang in 2014 with a very important resolution: to spend the rest of their lives together in harmony. 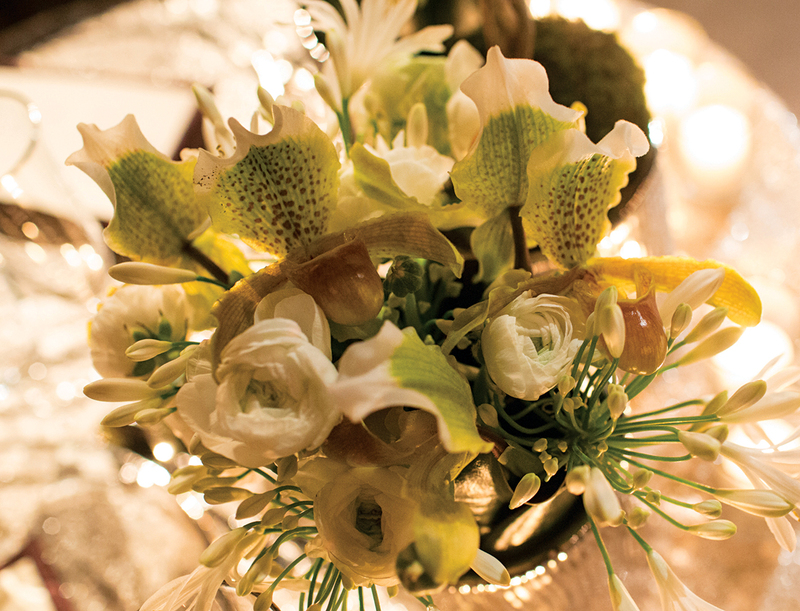 Marc Hall Design created arrangements of mini French ranunculuses, white agapanthus, and orchids in pewter urns to surround the topiaries at each table. 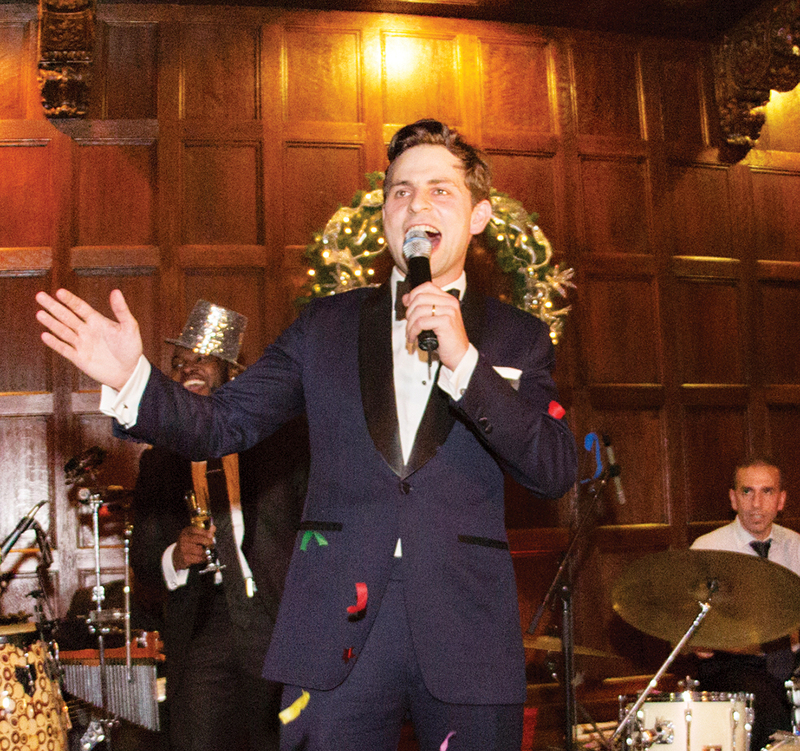 Eliah took the stage to perform Frank Sinatra’s “New York, New York” just after midnight. 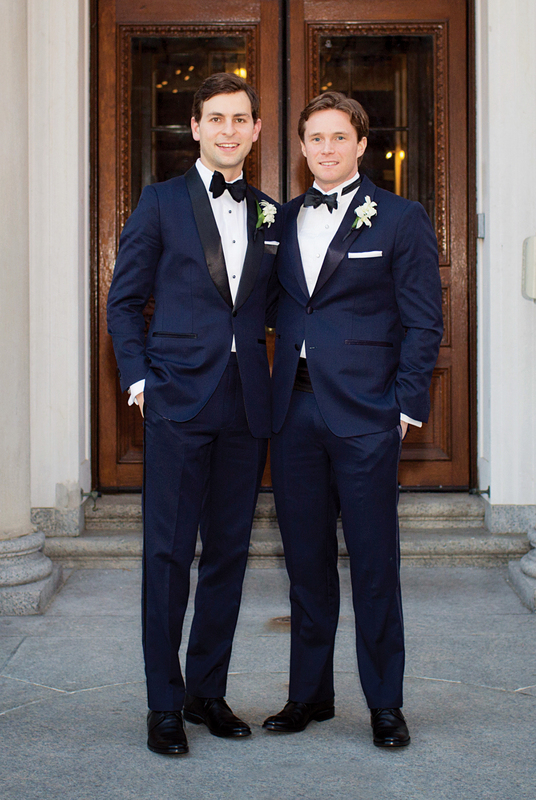 Bindle & Keep designed Eliah and Jamie’s custom blue tuxedos. Jamie and Eliah hammed it up for the camera with Eliah’s college roommates. 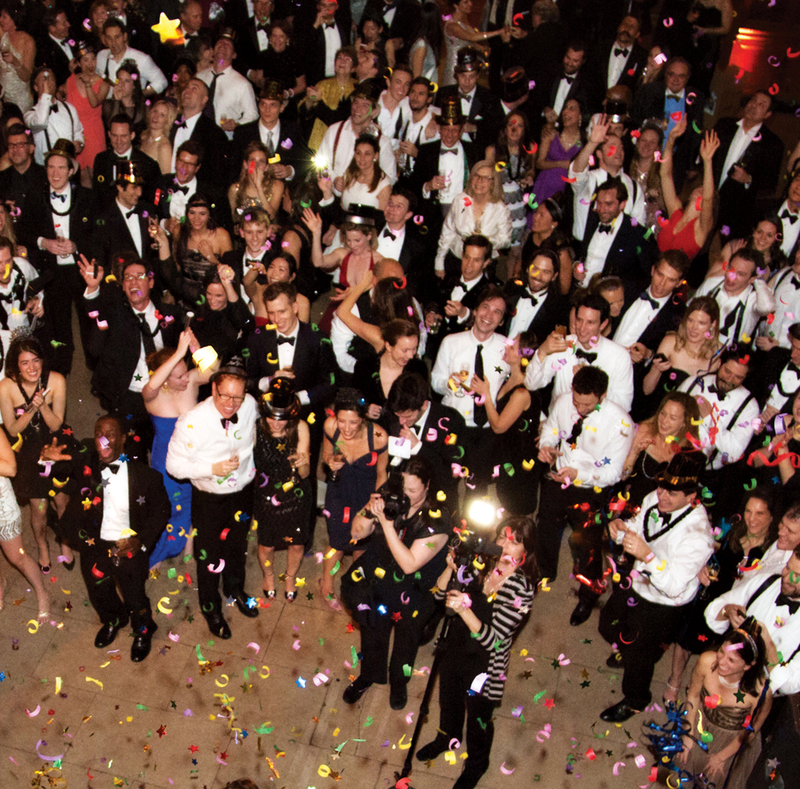 Confetti cannons helped guests ring in the new year. 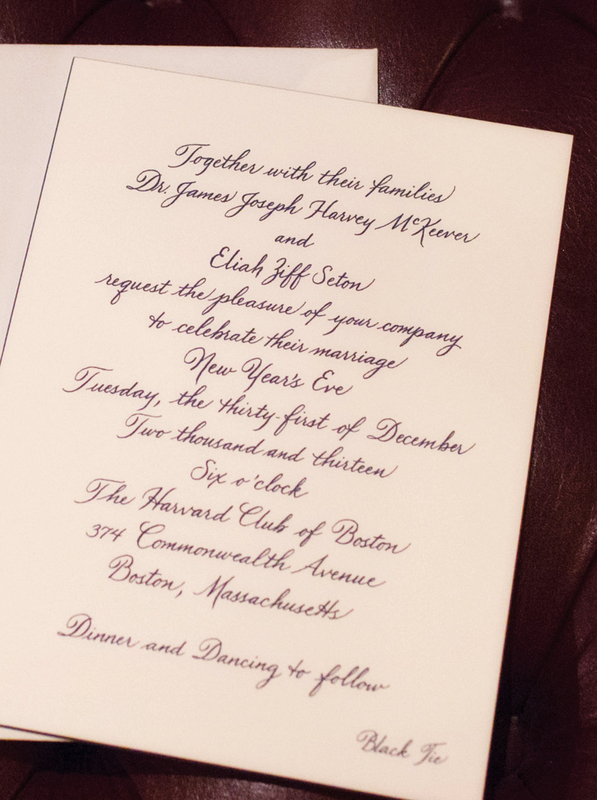 New York–based stationer the Printery engraved the couple’s elegant invitations in midnight blue on ecru stock. 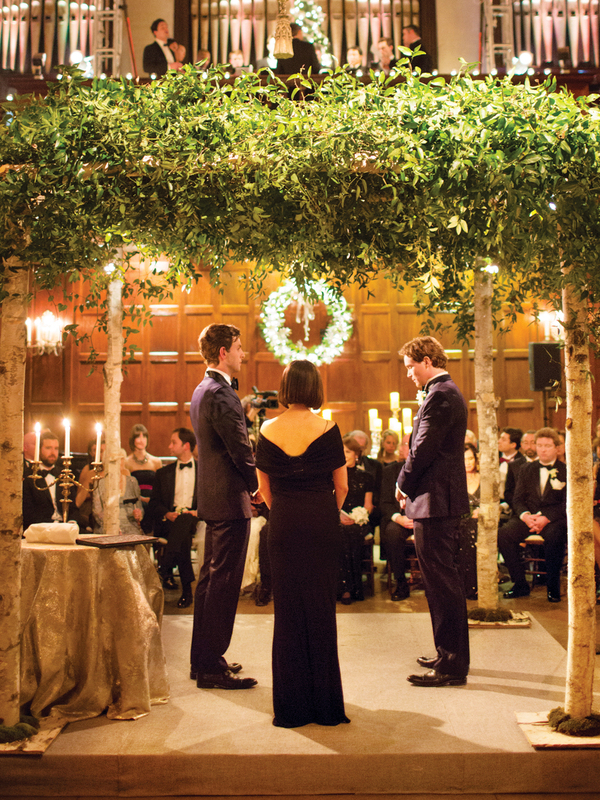 The couple opted for warm lighting from nearly 600 candles and two fireplaces. “It was around Christmastime, and we wanted that twinkly-light evergreen look,” Eliah says. 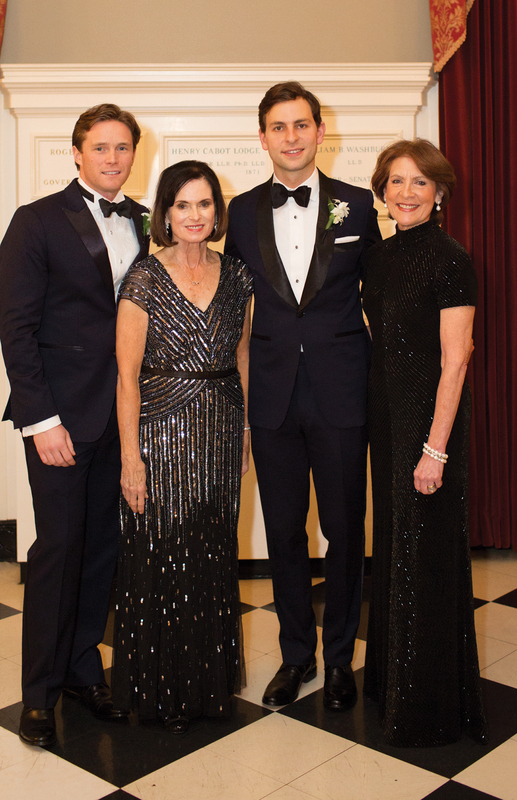 Jamie and Eliah posed with their mothers, DeeDee McKeever and Peggy Seton. 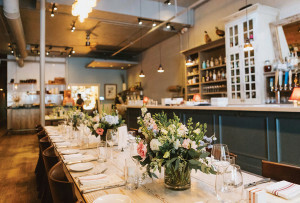 Planner: Nicole Simeral, Simeral & Co.
For additional inspiration, check out more Real New England Weddings.